Chances are you love adventure travel for the unexpected thrills. But you probably don’t love the unexpected expenses. Even the most experienced travelers can find themselves paying for fees, supplies, and mistakes they didn’t account for. While you can’t predict all the costs that are going to pop up during your travels, there are ways to prepare. 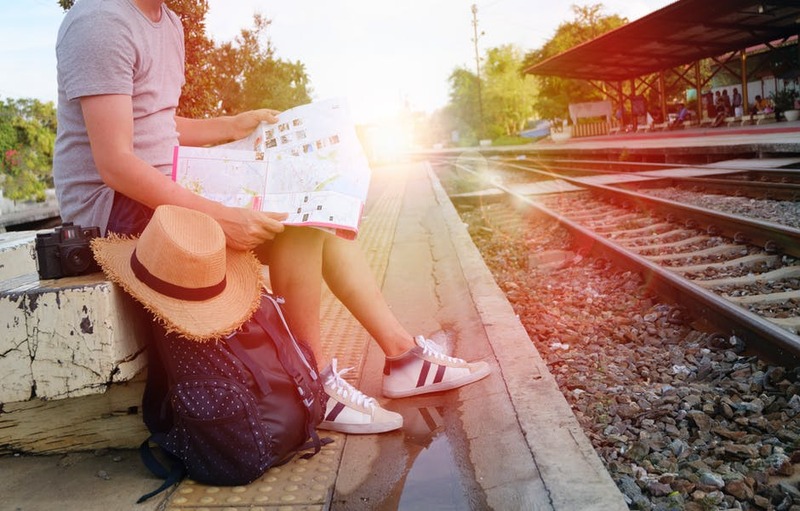 Here are four common expenses that take travelers by surprise and how you can plan for them. To avoid costly international ATM fees, it’s smart to withdraw cash as infrequently as possible when you’re in another country. Many travelers budget their cash down to the last penny, so by the time they reach the airport on their way out of the country, they have no local currency left. Many countries require you to pay a departure tax on your way out. This tax often is included in your plane ticket, but depending on the country, the airline, and your final destination, you might have to pay it in cash. To avoid coming up short, do your research. Find out if the countries you’re planning to visit have a departure tax and if it’s included in your outbound plane ticket. If it isn’t, set aside the total amount for the tax immediately when you arrive so you won’t run into problems on your way out. If you’re trying to keep your expenses low, countries with a costly departure tax might be ones to skip. If you’re managing student loans or credit cards while traveling, it’s all too easy to miss a payment — which can make your trip more expensive when you add in the cost of late fees and interest. You could find yourself in a remote place with no Wi-Fi. Or flight cancellations might throw off your schedule. Jet lag also can be disorienting. Even the sharpest people sometimes let things slip through the cracks when they’re trying to juggle travel logistics and responsibilities back home. A few simple steps can help you better manage your money while you’re away. To start, automate your monthly payments. Doing so will remove the pressure of remembering to sign in to your account from a foreign country and make payments. You also can consolidate your credit card debt with a personal loan. If your personal loan has a lower interest rate than your credit cards, consolidating could save you money in the long run. It also will streamline your debt. Instead of having several credit cards to track each month, you’ll have just one payment to make. Hotel “resort fees” are becoming depressingly common. They’re per-night charges hotels levy for amenities such as Wi-Fi, pools, and gyms. How much do typical resort fees cost? That depends on where you stay. In Las Vegas, for instance, resort fees at hotel-casinos can range from $30 to $40 per night, according to The Los Angeles Times. Stay for three nights, and you’ve added about $100 to your trip. It can be hard to avoid resort fees if you’re traveling to popular tourist destinations, but at some hotels, these fees are optional if you don’t plan to use the amenities. When you you check in, see if the hotel is willing to waive the fees. The best option if you don’t want to pay these fees, however, is to avoid hotels that levy them. Check for any additional charges as you book your room or use a site such as ResortFeeChecker.com to verify your charges. Even if you have a health insurance policy for travel, you’ll likely have to pay out of pocket for any health care costs that arise and then have your insurance provider reimburse you. The reimbursement process itself can be lengthy and costly. For example, if you’re still traveling while you’re trying to get your reimbursement, you might have to pay for international postage, faxes, or phone calls while you sort out the details. Unfortunately, there’s no travel hack that reduces the cost of health care emergencies. To be prepared for this scenario, plan ahead in your budget. If you’ve already made a travel budget and it doesn’t include important expenses like health care costs, you might be able to find extra cash by refinancing your student loans. You can save money each month when you refinance your student loans. With this strategy, you can get a new loan with a lower interest rate. And getting a lower interest rate means you’ll have more money left over to use as a cushion for emergencies when you travel. There will always be unexpected scenarios that make traveling both frustrating and exciting. But the key to walking away from your trip with great memories — and no additional debt — is budgeting ahead for the unexpected so you can easily deal with whatever comes your way.